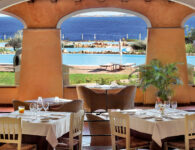 The Colonna Resort, a 5-star hotel in Porto Cervo, is one of Sardinia’s and the Costa Smeralda’s most exclusive destinations. 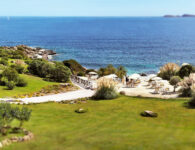 It stretches along approximately 60,000 square metres of green parkland, near the beach of Cala Granu. This splendid 5-star Resort has 250 elegant, refined rooms set in a unique and exclusive atmosphere, offering the traditional hospitality of the island. 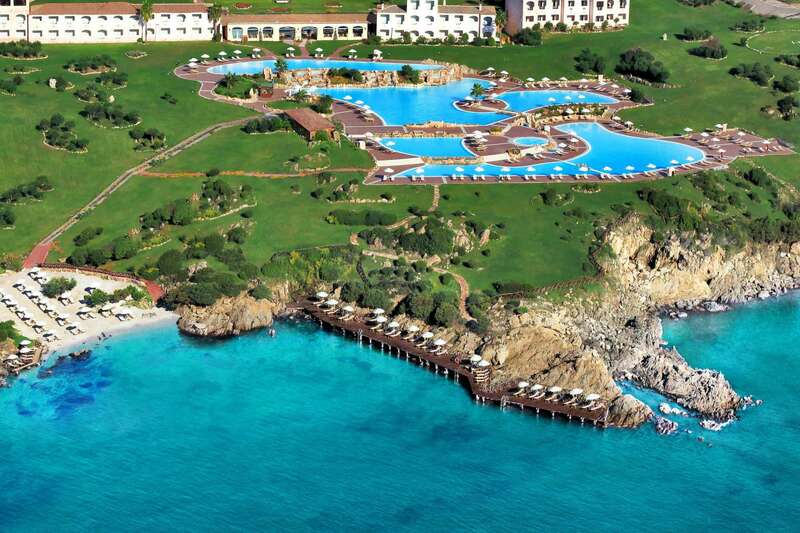 The Colonna Resort has a spectacular seawater swimming pool area, which is one of the biggest in Europe. 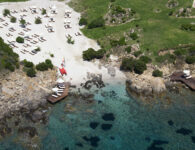 A seawater area measuring 8,500 sqm is available to our guests, where they can relax and have fun. 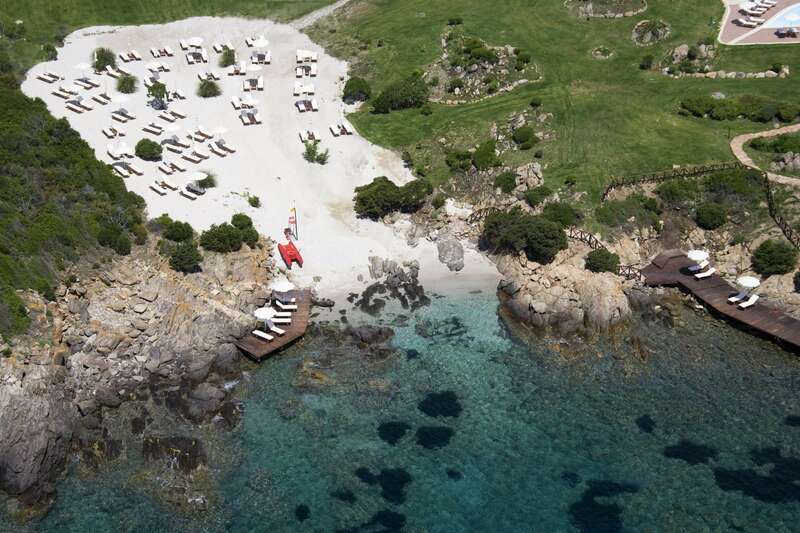 The Colonna Resort is located by Sardinia’s splendid sea. 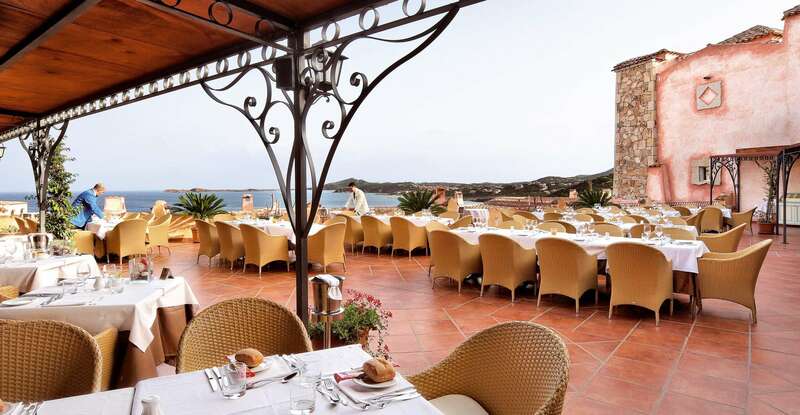 In fact, the hotels is situated in the bay of Porto Cervo and has a private beach, sheltered from the wind and washed by the clear, blue waters. 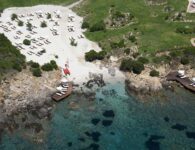 The beach is entirely dedicated to our guests and has beach umbrellas and sunbeds and a splendid wooden sundeck directly overlooking the sea! The Colonna Resort’s Mini Club is the ideal place for children aged between 4 and 10 years to have fun. A welcoming, cheerful space in which they can spend their days in the pursuit of fun, under the constant supervision of highly-qualified, multilingual staff. A Baby-sitting service with qualified, multilingual staff is available, upon request and with a fee. We advise you to request the service 24 hours in advance, directly at reception or at the booking office before your arrival. Lunch with the Shepherds in Barbagia, the heart of the island. 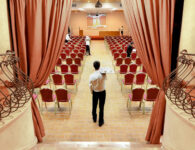 The Colonna Resort has 250 Rooms, including Standard, Superior, Deluxe and Suites, all tastefully furnished in typical Sardinian style, with pastel-coloured furniture embellished with the island’s traditional decoration. The Standard and Deluxe rooms are divided into sea view rooms and garden view rooms all have a warm, cosy, welcoming atmosphere. 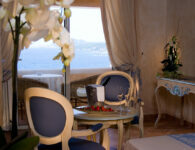 The Suites all have a sea view and are the most luxurious and exclusive in the hotel. The Standard double room (approximately 20 sqm) is cosy and welcoming and can accommodate a third bed or a cot for babies. This pretty room is comfortable and furnished with elegant simplicity, in typical Sardinian style, with wooden furniture and pastel-coloured fabrics, typical of the island’s tradition. 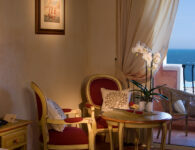 The standard rooms are divided into partial or front-facing sea view or garden view rooms. Thanks to the covered balcony, furnished with a table and chairs, it is possible to spend pleasant moments in the open area overlooking the rich, fragrant garden of Mediterranean scrub or in front of Sardinia’s most beautiful stretch of sea. The Superior double or twin room (approximately 25 sqm) is carefully furnished with natural wood tones and pastel colours and can accommodate a third bed or a cot for babies. 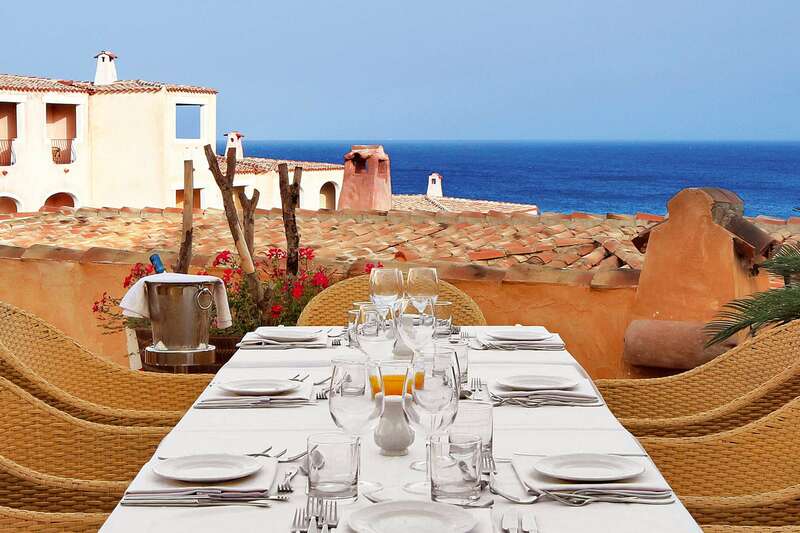 Bright and welcoming, it has a covered balcony, equipped with a table and wicker chairs and a breathtaking view of the blue sea of the bay of Porto Cervo. The Deluxe double/twin room (approximately 30 sqm) has elegant and refined interiors and can accommodate a third person or a cot for babies. Its light, delicate colours create a warm, exclusive environment, a lounge with sofa bed, a bathroom with whirlpool tub and a French balcony. 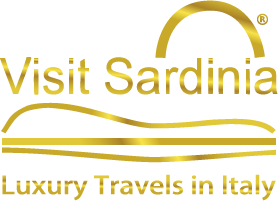 Perfect for people seeking a 5-star stay, overlooking Sardinia’s most beautiful stretch of sea or the Resort’s fragrant gardens. 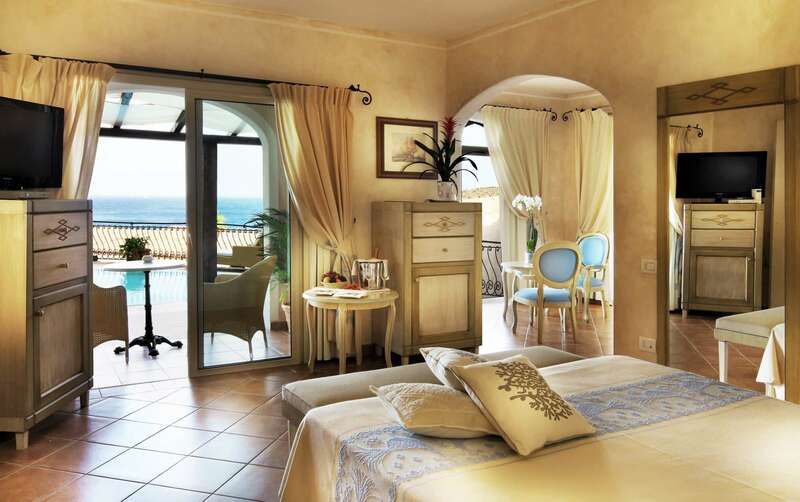 The Colonna Resort’s Suites are a true oasis of comfort, privacy and luxury. 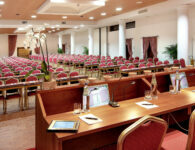 The Executive Suites are warm and welcoming and have two main rooms – the bedroom and the lounge. They have separate entrances, two bathrooms (one with a whirlpool tub) and two balconies that overlook the bay and have a wonderful view of the blue sea of Porto Cervo. DETAILS/SERVICES: 50 sqm, double/twin bedroom, lounge, 2 bathrooms with whirlpool tub, 2 entrances, 2 balconies equipped with table and chairs. It can accommodate up to 4 people. The Royal Suites, with simple and refined interiors, include a bedroom and lounge, two balconies with a sea view and a bathroom with whirlpool tub. Some suites have a large bar area, ideal for setting up small or informal meetings, while others have a large covered terrace with sunbeds and a beautiful view where you can enjoy the sunset and sunrise on the sea. DETAILS/SERVICES: 85 sqm, double/twin bedroom, lounge, 2 bathrooms of which one with a whirlpool tub, 2 balconies equipped with table and chairs, large covered terrace or bar area, two separate entrances. It can accommodate up to 4 people. The Presidential Suite, a true oasis of privacy and luxury, is located on the 4th floor of the hotel and enjoys a charming view of the entire gulf. This beautiful suite includes a double bedroom and a separate lounge. Completing the uniqueness of the rooms, two large windows look out onto a large panoramic veranda with a private swimming pool, where you can enjoy unforgettable sunsets while relaxing in a Jacuzzi tub. DETAILS/SERVICES: 85 sqm, double/twin bedroom, large lounge, 2 bathrooms with whirlpool tub, private swimming pool with whirlpool and semi-covered panoramic veranda equipped with sunbeds, two separate entrances. It can accommodate up to 4 people. 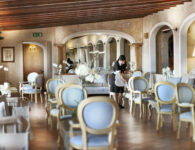 The Imperial Suite is simple and elegant and is one of the most exclusive and refined spaces in the Resort. Decorated with pastel colours and the traditional textile embroidery of the island, it extends over a floor area of 170 sqm and includes multiple rooms. The two large windows overlook the terrace with a private swimming pool towards the Gulf of Porto Cervo and highlight the uniqueness of the rooms in one of the most beautiful locations in the world. Luxury and exclusivity with a sea view. DETAILS/SERVICES: 170 sqm, 2 double/twin bedrooms, 2 lounges, large foyer with walk-in wardrobe, 4 bathrooms with whirlpool tub, private swimming pool with whirlpool and panoramic semi-covered veranda equipped with sunbeds, bar area, 4 separate entrances. It can accommodate up to 6 people. 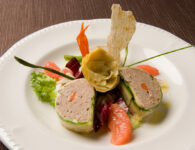 The Colonna Resort offers its guests the opportunity to taste traditional local dishes and national and international specialities created by our skilful chefs. The hotel has 2 restaurants and 2 bars. 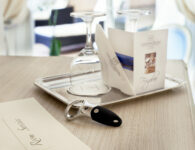 Room Service is also available to guests with a Dedicated Menu and is active 24 hours a day. Children can also have lunch and dinner in the company of our staff in a room especially dedicated to them in the restaurant. 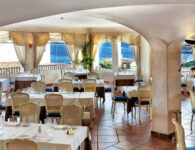 The Colonna Restaurant is located on the 5th floor of the hotel and has a panoramic terrace with a wonderful sea view. Buffet breakfast and delicious candlelit dinners are served here with a refined à la carte menu and an extensive wine list including local and international wines. 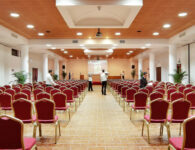 Maximum capacity: 500 people in the internal room – 150 people externally/on the terrace. 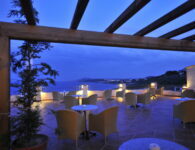 The Pagoda Restaurant, situated near the swimming pools and the beach, has a fabulous panoramic view of the sea. A perfect place to eat on a day devoted to relaxation and the sun. 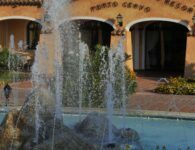 The restaurant offers delicious buffet lunches and tasty grilled fish and meat menus with show cooking, in an informal, cool and typically Mediterranean setting. Thanks to its position and the size of its rooms, the Pagoda Restaurant is an excellent location for organizing private gala dinners and events.Maximum capacity: 500 people. Opening hours: from 1 pm to 2:30 pm. 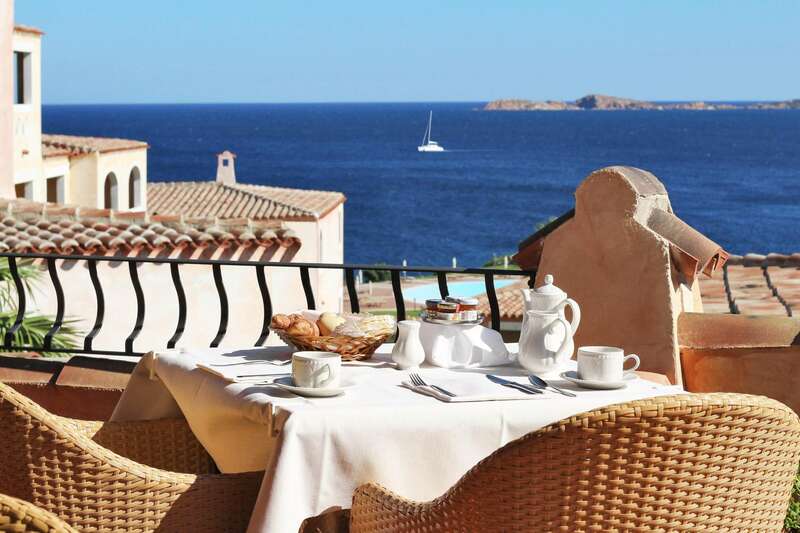 The Colonna Caffe is undoubtedly the most elegant room in the hotel and has a charming seafront terrace overlooking the entire Gulf of Porto Cervo. 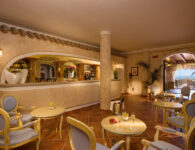 A magical atmosphere in which you can savour cocktails and drinks skilfully prepared by our bar staff, while admiring the breathtaking view of the blue waters of the Costa Smeralda and listening to great classics played by our pianist. Opening hours: from 10 am to midnight. 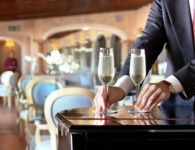 The Pool Bar is informal and cheerful and is located in the swimming pool area and near the beach. It boasts a lovely Sea View. An ideal place for sipping a cocktail or a cool drink between one swim and another or for a tasty light lunch just a few steps away from the water.Opening hours: from 10 am to 7 pm. EARLY BOOKING – SAVE 15% OFF! Vat tax and service charge. For cancellation from 1 day on before arrival, or in case of noshow first night penalty will be applied. Free cancellation up 1 day before check-In. Free internet connection. classic Room, free cancellation up 1 day before check-in. Free internet connection. For cancellation from 1 day on before arrival, or in case of noshow first night penalty will be applied. 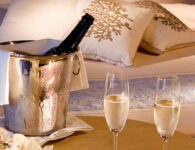 -20% in Classic Room, free cancellation up 1 day before check-in. Free internet connection. The Colonna Resort has a SPA and a Wellness and Fitness Centre of approximately 1,000 sqm dedicated entirely to the beauty and well-being of the mind and the body. 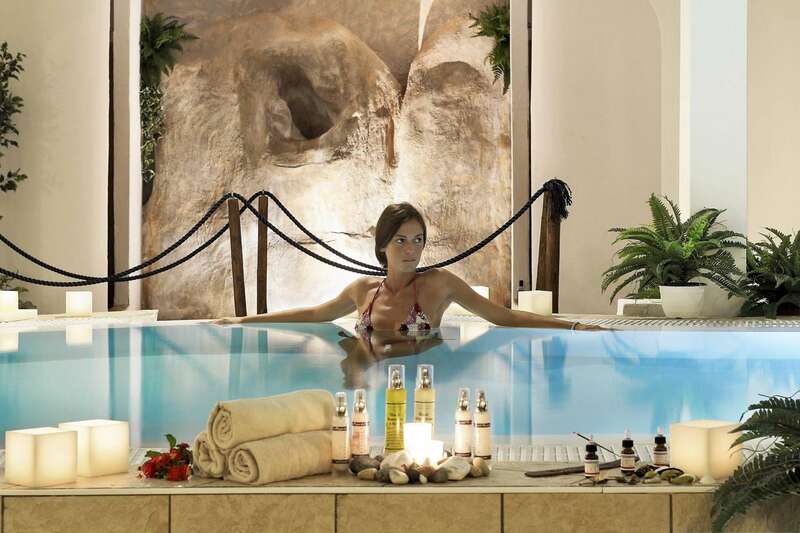 The SPA has a heated indoor seawater swimming pool and large seats with water-jets and water features, Sensory Showers, a Thermarium Area with an aromatized Turkish bath, a Finnish Sauna and a Herbal Tea Room. The Centre also has 5 massage booths, a beauty centre and a fitness area with TechnoGym cardIo-fitness equipment. A warm, welcoming environment in which you can spend time being pampered by our dedicated staff with love and professionalism.